Ahad Cobb came of age in the tumultuous sixties. He went to all the best schools, graduated in confusion, and found himself wandering without direction. A chance road trip with a friend led him to Ram Dass, who had just returned from India in 1969. He introduced Ahad to meditation, ecstatic chanting, and unconditional love, and Ahad enthusiastically joined the spiritual awakening that became the counter-culture. His path took him to New Mexico, to a newly established spiritual community, Lama Foundation, where he lived on the land for thirteen years. He travelled overseas to be with the Sufis in Chamonix, Istanbul, Konya, and Jerusalem and returned to survive the Holy War at Lama when Muslim converts tried to take over the community. He learned consensus process, Sufi practices, and Dances of Universal Peace, all the while seeking, losing, and finding love. 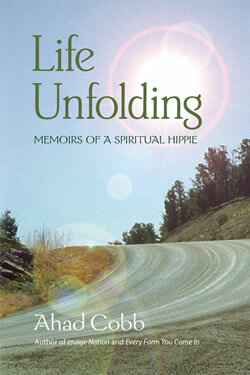 Life Unfolding: Memoirs of a Spiritual Hippie leads readers on an outer and inner journey steeped in poetry, music, astrology, dreams, inner work, and spiritual practice in the context of community devoted to awakening. This is a story of soul coming into the world, of life lived from the inside out, of essential intimations and encounters with the real. 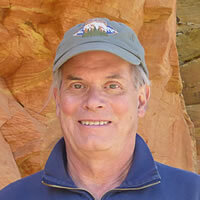 Ahad Cobb is author, editor, and publisher of six previous books, including Image Nation , Every Form You Come In , and Early Lama Foundation . Ahad and his wife Widad lead Dances of Universal Peace in New Mexico.